“The sacrifice of Imam Hussein (A.S) is not limited to one country or nation, but it is the hereditary state of the brotherhood of all mankind.” Dr. Rajendra Prasad. 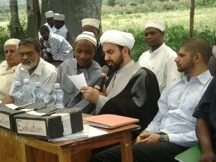 In order to learn from lessons from the great sacrifice of Imam Hussein (as) Bilal Muslim Mission of Kenya organized a seminar in Samburu Secondary School for the students. This was attended by a total of 994 Students from 14 different schools participated. Fabrication Uprising of Imam Hussein (as) compared to the current times. 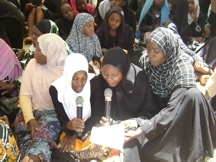 The participants had a salaat break thereafter; there was a Question and Answer forum, which was aimed to provide more information to the students about the areas covered in the discussions. 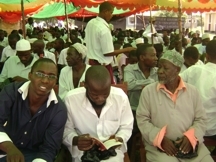 The Mission distributed free reading literature to all the participants of the seminar.